This guacamole has the perfect balance of fat (from the avocado) and tang. The lemon juice helps to keep the avocado from browning while the tomatillo provides a nice citrus-y flavor without being too sour. 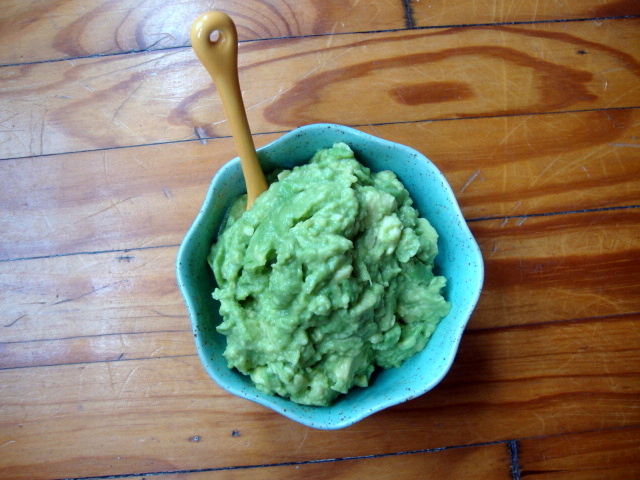 Place avocados in a medium bowl and mash with a fork, leaving some chunks. Stir in tomatillo, lemon juice, and salt. Serve immediately.